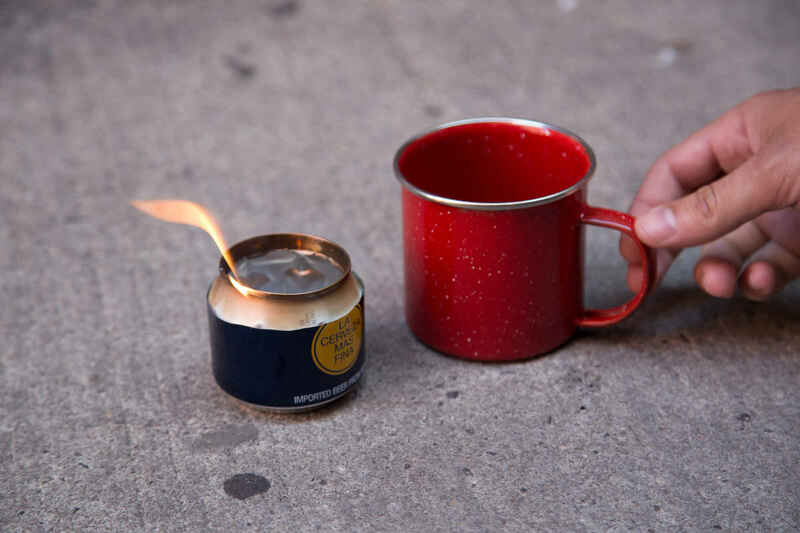 With a knife, some denatured alcohol and a little bit of courage, you can transform a 12 oz can into a great DIY camp stove that'll boil water in 5-6 minutes. We did it, and it's remarkably simple. The coolest stuff that money can buy, and more. You learn a lot about yourself when you camp. Your patience will be tested when pitching a tent or building a fire; you'll see food from a whole new perspective; and you'll understand that sleeping on the ground with little else than a nylon sheet protecting you actually feels pretty awesome. You'll also learn that some tasks are harder than others, but they don't always have to be. 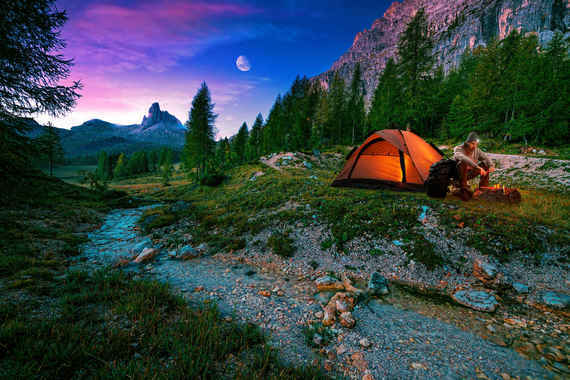 Here are 18 tips and tricks guaranteed to make your outdoor adventure a bit more agreeable. 1. Make a stove from a beer can. 2. Light a fire with Doritos. Doritos are nailing it right now. Delicious snack? Check. Ingenious fire starter? Double check. And here's the kicker:Any flavor will do -- even Gout Olives! 3. Use an old shower curtain as a disposable ground tarp. 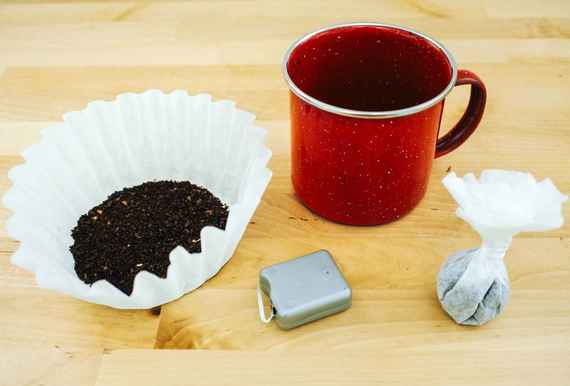 Throw it under your tent to keep the floor dry overnight, throw it out the next morning. 4. 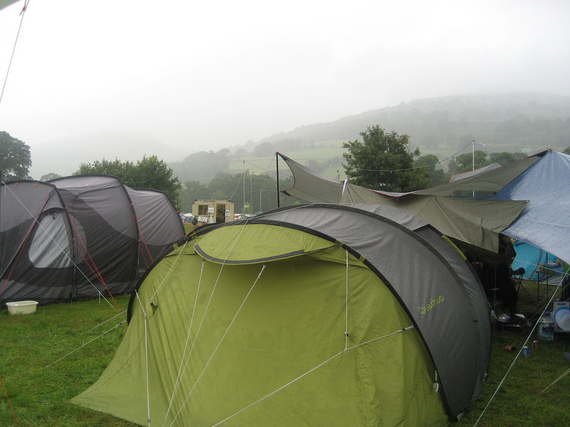 Waterproof your tent with sealant. Pick up a can and spray everything. Your rain fly, your tent, your tent's seams, your tent bag. Getting caught in thunderstorms can easily put a damper on an otherwise great weekend, but it doesn't have to. 5. Get yourself a Hobo knife. Case makes an amazing one that you'll one day be able to pass down to your grandchildren. 6. Repel ticks with water and tea tree oil. Lyme disease is on the rise. I've been caught by ticks firsthand and know how unnerving it can be. Mix up about 40 drops of tea tree oil with around 12-16 oz of water and spray it on. Even if you don't encounter any ticks, you'll smell uncharacteristically good. 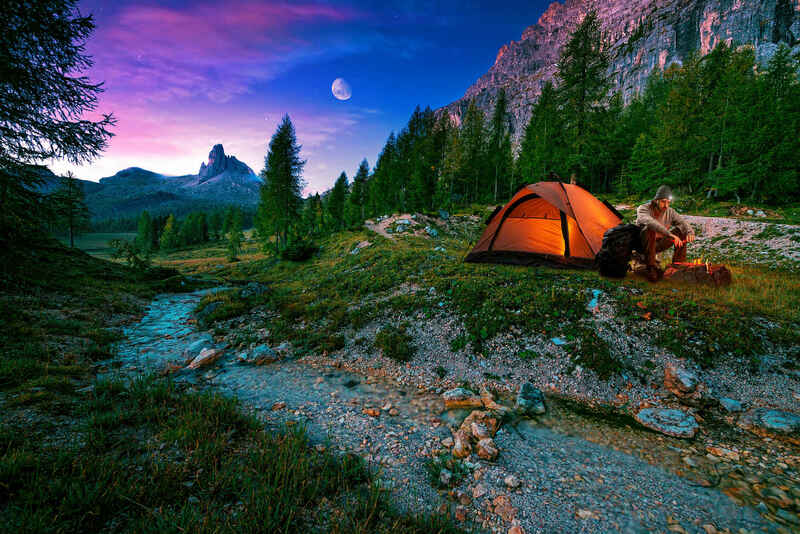 Coffee and camping go together like pot and planetarium laser shows. Tie some grounds up in a filter, secure it with dental floss (or string), and throw it in a mug full of piping hot water you just boiled in that empty beer can. 8. Use a rope and a tarp to create just about anything you'd ever need. Most people will employ the rope as a line to hang wet clothes and a tarp as groundcover, but in a pinch or survival situation, they can be used together to craft a warm, dry shelter. 9. Freeze a gallon of water to keep food fresh. You'd think this would take up valuable cooler real estate. BUT the jug-shaped block of ice will last much longer than cubes, and after it melts, you've got a gallon of ice water at your disposal. The 9 other tips and tricks are waiting, over at Supercompressor.com!